make a hypoallergenic product that avoids any ingredients you may be allergic to. In fact there are virtually unlimited possibilities what we can do with your medication to improve your therapeutic outcomes. We have access to pharmaceutical grade medications and nutraceuticals world wide! In addition to strict quality control we are also very concerned about what inactive excipients or fillers are used in our products. These are usually the “hidden ingredients” several of which their safety is questionable. (1) Capsules – We do not use any coloured capsules opting for clear colour free capsules without any artificial colouring agents. We can also use cellulose based “Vege Capsules” on request for those who wish not to take gelatin based capsules. Almost all capsules made in our laboratory are lactose free except for a few we make for individual patents who prefer lactose. If colours are required for identifcation purposes in our formulations then we only use coloured vitamins such as riboflavin which is yellow/orange in colour. (2) Creams – Our laboratory has formulated our own unique moisturising cream base as we were not satified with any cream bases on the market. 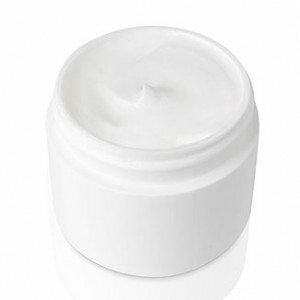 Most creams on the market contain ingredients that are well known to cause allergic reactions, disrupt hormone function (hormone disruptors) or even worse suspected to potentially cause cancer. Our cream base avoids the use of all petrolium based ingredients (paraffins), parabens, sodium lauryl sulphate, propylene glycol, fragrances, artificial colours, waxes and heavy oils. For more information refer to our article Are your Cosmetics Causing you Harm. (3) Mixtures – Our laboratory only uses the natural plant derived sweetener called stevia or xylitol. We refuse to use any artificial sweeteners such as aspartame which has been identified as a potential neurotoxin. For flavoring agents we use natural oil extracts such as peppermint,spearmint, orange,aniseed and lemon oils, avoiding the use of other artificial flavours. By carefully selecting the excipients used in our formulations we intent to minimise your exposure to potentially harmful ingredients found in many other products on the market. It also caters to many of our patients whom experience chemical sensitivities, allergies or intollerances. Medication can be compounded into individually customised capsule form. The dose can be tailored to suite any individual and can be made to avoid potential allergens. 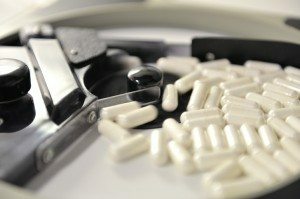 Multiple medications can often be combined into a single dosage or made into controlled release capsules in order to lessen the number of doses that need to be taken. Lozenges or troches are a popular dosage form used to keep drugs in the mouth when a local action is required. They also can be placed under the tongue and allowed to dissolve for sublingual delivery, which allows the medication to enter the blood stream quickly and easily. Transdermal methods of delivery are widely used because they allow the absorption of medicine directly through the skin. Gels, creams and sprays are easy to use and are effective in getting medicine into the bloodstream quickly. Because hormones are fatty molecules, many of them are absorbed very well through the skin and therefore a cream or gel is a very convenient way to deliver the hormone into the system. Dosing hormones this way avoids rapid breakdown by the liver, so a much smaller dose can be used. Many medications are not available in liquid forms for those patients who have difficulty swallowing tablets and capsules. Other patients may have difficulty tolerating the taste of a commercially available liquid. Through compounding, a pharmacist can make a naturally sweetened, pleasant thing oral solution or suspension that can be administered easily and accurately. Patients who cannot take medication orally are prime candidates for compounded suppositories. Available in various shapes depending on administration, suppositories can be given rectally, vaginally or urethrally. By melting or dissolving into the body cavity, they pass quickly into the bloodstream. They can be used for delayed-release medications, hormone replacement therapy, or to treat local conditions such as nausea, haemorrhoids, infections or inflammation.